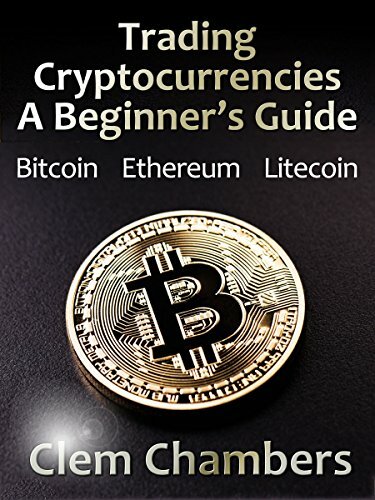 By @SimonCocking, a review of Trading Cryptocurrencies: A Beginner’s Guide – Bitcoin, Ethereum, Litecoin by Clem Chambers. through their first purchase of Bitcoins and other cryptocoins. Crypto’s coming home!? Is it? Well more and more people are dipping their toes into this world. Yes Bitcoin rocketed to $20,000 last Christmas, but if you think back even further to this time last year (yes a year is a LONG time in crypto) it was back down around $3k and beginning it’s steady rise up to those giddy heights. If we look at Bitcoin from a 12 month perspective it is up x2, rather than down by 2/3rds. The aim here is not to be tautologous, but to illustrate that overall, looking at the last year and before that, Bitcoin, and it’s crypto sisters have all had healthy upward growth paths, Ethereum and Litecoin included. At the same time, lots of us are still unsure about some of the key details of what crypto means, how it can be traded, what is a good and bad way to go about doing these transactions. You can brace yourself for a series of books coming out in this area, looking to explain it in more detail to the new and interested audience who want to know more about it all. This book in particular does a good job in holding your hand and taking you through some of those earliest steps. He does use some of his own favourites as the basis for his examples, but you have to start somewhere, and he does advise / encourage / warn you to make up your own mind too and not just go with what he is saying. The key terms are explained well, the illustrations are good, and, though a little hard to see, the screenshots are informative too. This book does not aim to be definitive, and it is quite short, but it is a good way to dip your toe in the water, and from there launch yourself further deeper into this new and exciting world.